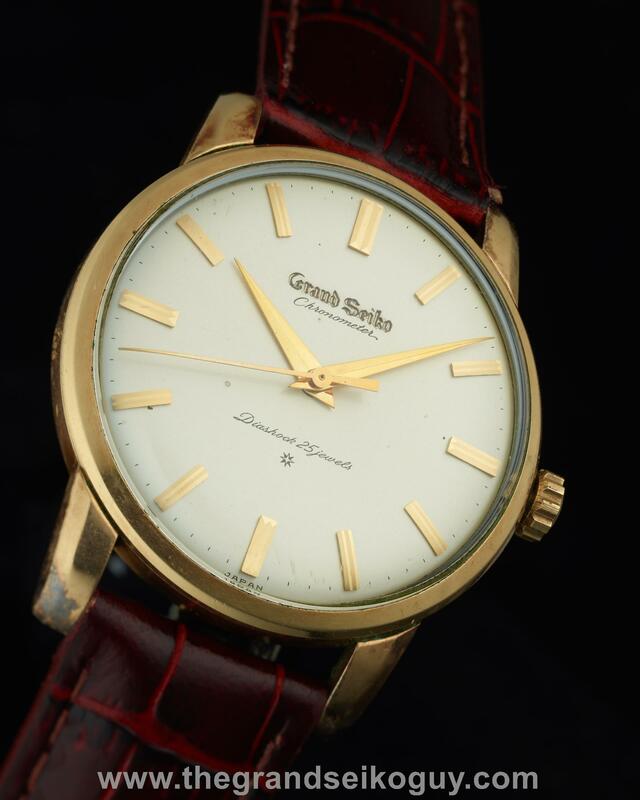 For those collectors unable to acquire a printed logo dial example of the Grand Seiko First, the more common (although it must be stressed that is a highly relative term – these watches, especially in good condition, are still very hard to find) carved logo dial makes a great alternative. 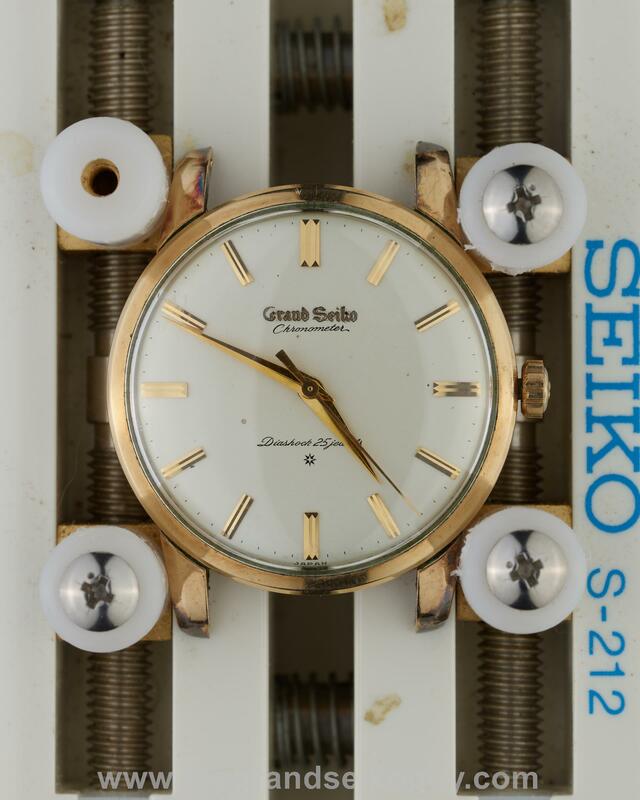 Ignoring rarity and focusing purely from an aesthetic perspective, it is arguably the most desirable of all the Grand Seiko First variants, given the intensely manual effort that was required in order to carve the logo into the dial. 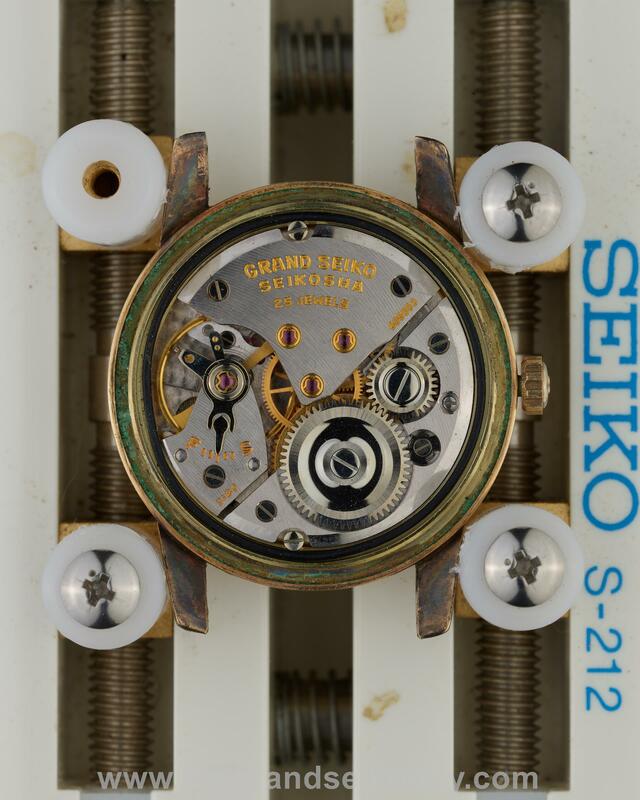 Indeed, with the knowledge that Grand Seiko ultimately phased out the creation of dials in this manner due to unacceptable yield rates, those that did make it through the quality control process take on an even more attractive allure. 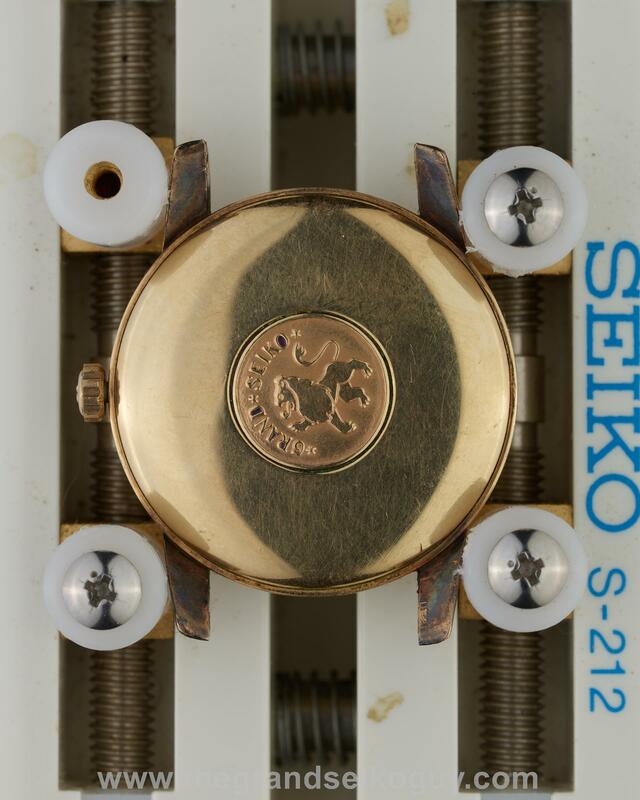 This is an early example of the carved dial version of the first Grand Seiko, with the dial in particular in superb condition, just showing some slight wear around the carved logo. 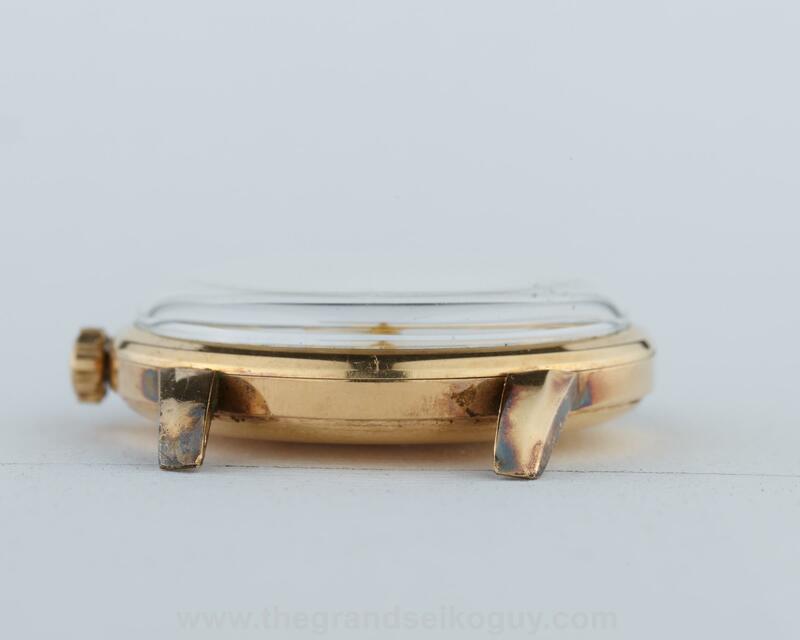 The method of carving the Grand Seiko logo can be seen to be very different to that of the later example we have in stock. 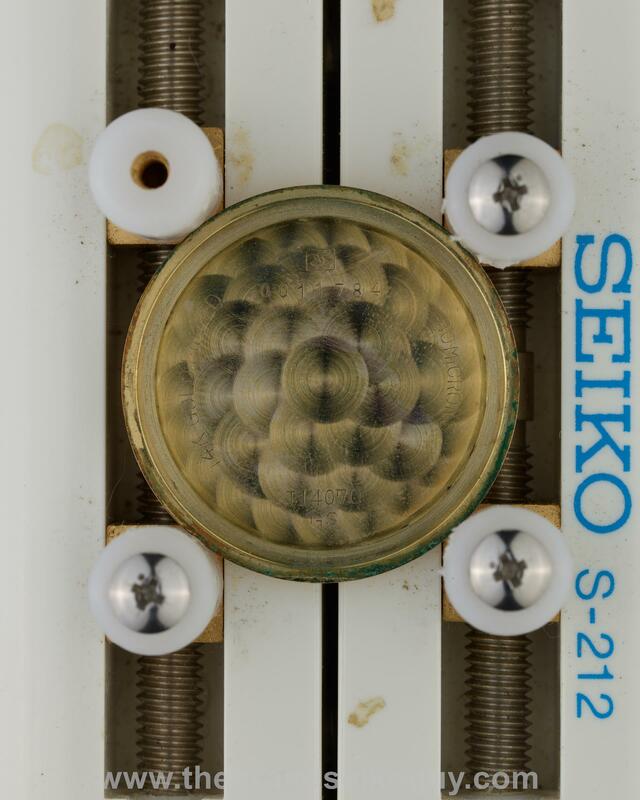 It has a far more “organic” look to it. 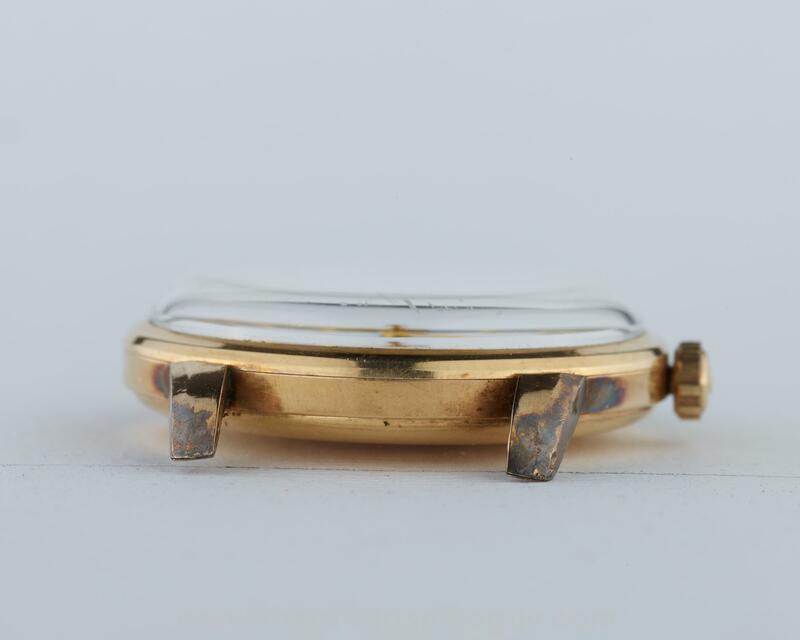 The case is in good condition, although it does show signs of tarnishing particularly around the lugs. 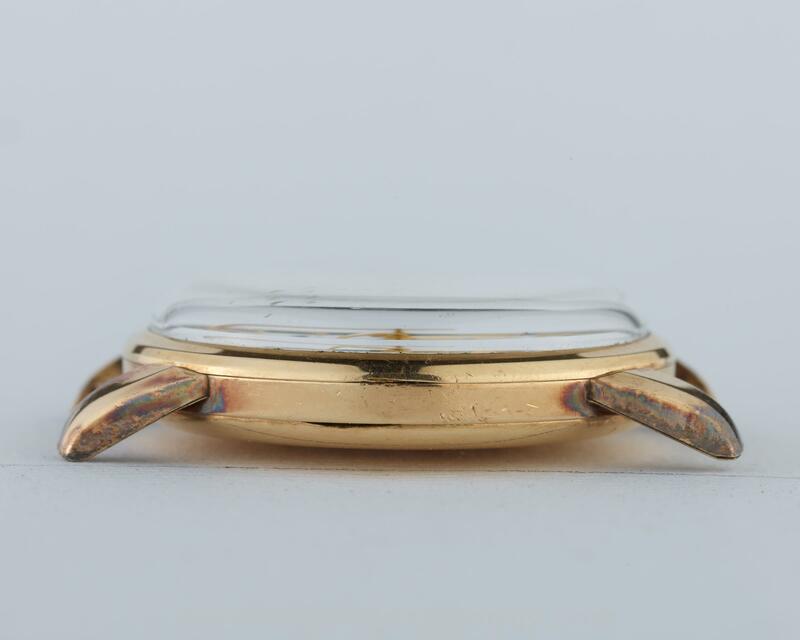 The lion logo is of the correct early type, retaining its strong contours. 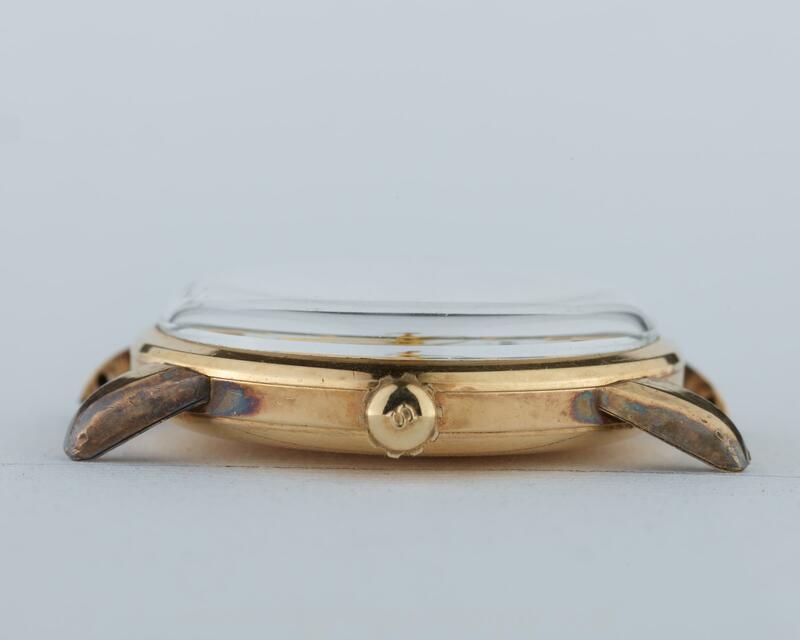 This watch is currently running at around +4 seconds per day on a time grapher in the dial-up position.